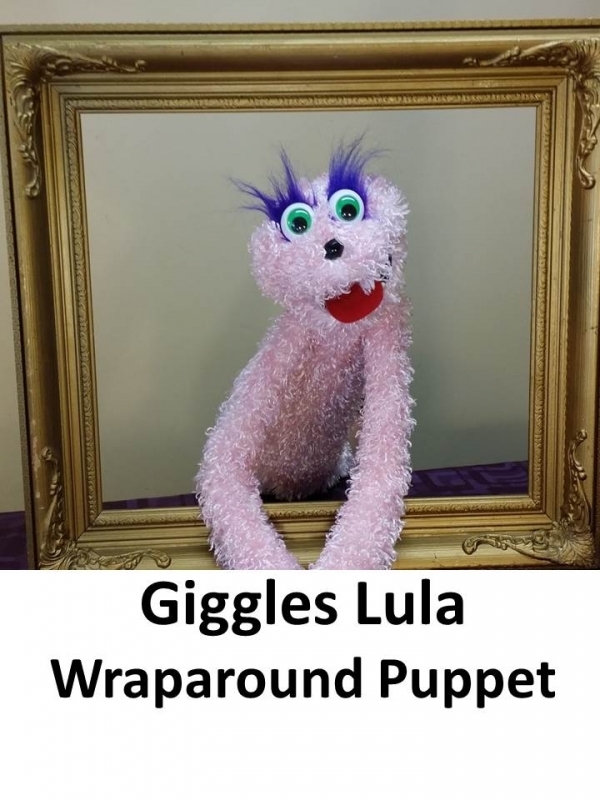 Meet Giggles - the Pink Curly puppet you can wear. For therapists, teachers, parents and children, these wonderful puppets are movable and by using your hand inside, can make them display all kinds of faces. There are ten different styles in all; short hair, long hair, curly, and straight. All fabric is sourced in North America and are hypoallergenic. All styles of puppets are fabricated with safety eyes and noses. These are riveted through the fabric to make them extremely difficult to pull off. Recommended for ages 4 yrs. and up.